The Simplicity Rosewood Cremation Urn is made in the Pacific Northwest. 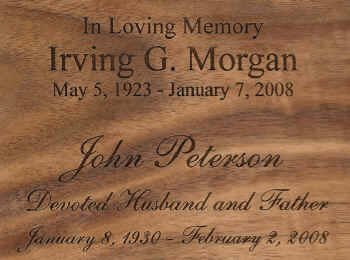 Designed from furniture grade hardwood plywood with 1/8 inch cherry veneer that has a rosewood stain, this affordable urn has the look of a solid wood urn. Cremains are easily loaded through a bottom opening panel attached with screws.